Without voice is fine. (Then I can watch at work too!) Maybe as a collective we can solve the chicken problem. Using a stair block instead of a half step solves the problem. The problem is item collection. If items get caught on the top of the stair, then you can't pick it up. Can you explain what you mean here? I have not had any problems collecting the dropping items regardless of where they stop (on the stone slab or the proper collection block). What exactly is a stair block anyway? Is that the same as the stone slab but made out of wood? It only has half of the block at a half step level, so the current on the side still pushes the chicken in further to the top of the stair. That way, the chicken will always drown. The only problem is item collection, as the items on top of the stair are too tall for you to collect in addition to the items in the collection chute. Though I think I may have come up with a solution. Thanks Rik, I wish I would have seen this before the weekend! I Can't wait to try it out. I still don't understand why people don't just use gravity traps with a door release and collection pit at the front of the door with outward flowing water. Not only is it an instant kill, it's also extremely hilarious. EDIT: to clarify, it's essentially a large spawner with moats as described above, elevated above 28 blocks over the fall location. 100% kill rate and 100% items. Because they take approximately 13 years to build. See Keishar's video earlier in this thread for evidence of that. 1) The one in the video posted above does not appear to use a one-way collection pit at his drop as his kill rate appears fairly constant throughout. 3) Mine took 3 days. The problem with gravity traps is that you cannot use it AFK. If water is put at the bottom to collect, then some will mobs always survive. Some people seem to be struggling to build this so I thought I'd attempt a little schematic to help. That's it! You're done. Hope this helps. Thank you. I had to tear it down three times before I got the current flowing right with the schematic you posted. I built it between a skeleton and spider spawner. Thanks availn for the best mob trap. Just been down to collect my goodies and nearly shat my pants when a spider leaped out from around a corner. No idea how it got there as the room is lit up extremely well. Could it have escaped through one of the holes in the drowner? If not then how the hell did it get there as I have only a 1 block wide passage down to my collection room. Wow, I have no idea how that happened. 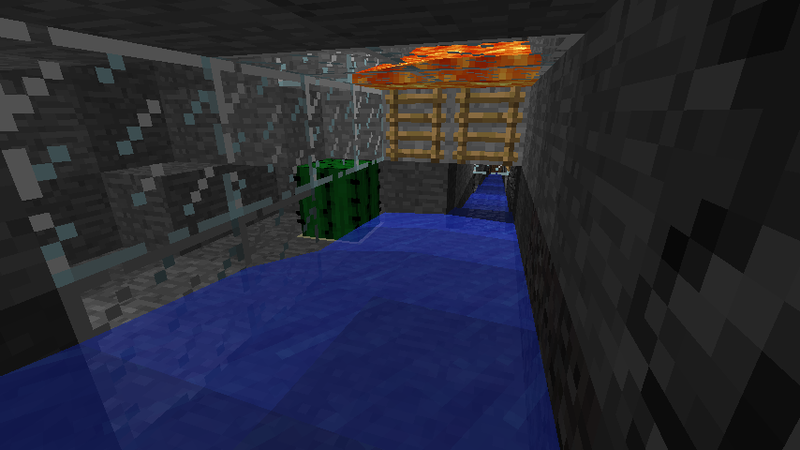 The spider couldn't have gone out the collection chute, it's filled with source blocks, so they will swim up. Besides, it's a 1 by 1 hole, a spider wouldn't be able to get through. I'm guessing that is spawned there, but if your room is lit up like you said, I have no idea. Alright. I hope this post isn't out of line for this thread. I made myself a little lava trap. It seems to work perfectly, except for one thing: The monsters won't spawn in my clean room! I'll provide a couple screenshots of the layout. Here is seen the clean room. I put a torch in there for visibility, it's not in there normally. Here is seen the deposit location. It's about 30 blocks away from the closest clean room square. And last but not least, the guts of the trap. As you can see, it's based off of , but I put it last because I don't feel it's relevant. So, as far as I know, there are no dark spaces around my mob, but could that still be the problem? What else? OK then, it would seem that this trap has too many problems for it to be consistent. Thank you for finding the flaws in this trap, I will try to redesign it now with both these things (spiders, chickens) in mind. Could you elaborate with the spider problem, is the spider next to the half block, and not going on top of it? Is that your whole spawning room? If so, you will have to make sure all space above and below it is lit up. It would really help if the majority of the space around it is unspawnable as well. Haven't tried it yet but I think it would work well if the top was connected to a dark room or a dungeon with springs leading into it. Lava kills 1x2x1 sized ones and spiders just stick usually. Anything that survives will just drop and die from gravity. You invade this pristine world, Claiming it as your own simply by your presence. You slaughter innocent animals for their hides and flesh. You devastate the landscape and gouge out the Earth to build your monuments to vanity... yet you call me the monster? I hope you perish by everything you have ruined on this peaceful land. 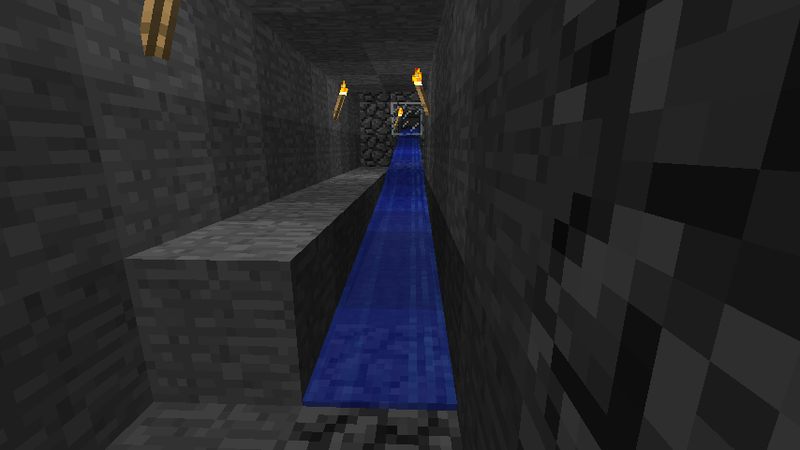 In the grinder described by the topic creator I can see a stream of water go up and into the base of the water column. How essencial is that? I got the impression that it was enough with a pillar of source blocks, but in my test grinder the chickens stay at the bottom of it. They drown in it if they get cought, but they don't float up. I have only tested chickens, but I don't think it will be different for other mobs. i could make a tutorial video and also showcase my mobtower that i hooked up to this...? because the water current gets stronger if it is next to glass or leaves or some others i forgot to mention. A signature was supposed to be here but your computer decided not to show it. great design, I made one tonight and it works perfect! I built the one similar to what Mokomi built and posted in a Youtube video. It's in the wiki under mob farm tutorials. There's one major flaw with the design of it as presented: the canal sections which are 5 blocks down from the floor, and are 8 blocks long, will not allow water to flow into the central pit. I had to dig down to 6 blocks 2 blocks from the pit so water would flow properly, then make the funnel system and grinder one layer deeper. While I was flooding the canals, I also put bridges up to reach each of the 11x11 floor sections so I could get around it and also remove the torches (I did that on peaceful, BTW). I later built a ladder running down to the room where the collection point was, and then dug around it upward to run redstone wire all the way up to my main workshop behind the house. So now when the redstone torch is lit, I have drops awaiting me. I've missed some drops a few times - I would see the lit torch after exploring outside around the house a few minutes, only to find nothing at the collection point. 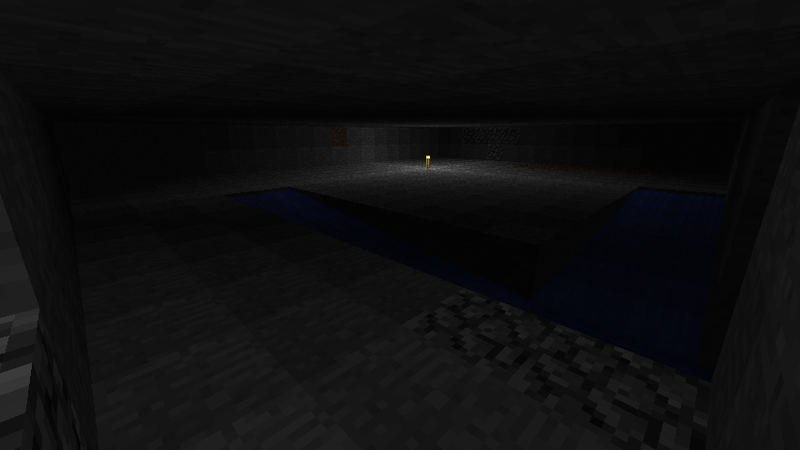 I built it on land instead of under the ocean, and also lit up any nearby caves to prevent mobs from spawning in them. In addition, I had some branch mines around the area I had to fill in. And, yes, even though they can climb, it kills spiders. I've gotten about 4 pieces of string out of it so far. Looks like a few trap enthusiasts here. This is the second thing i've built in MC (first was giant tree). Love to hear thoughts on my design... Wanted it to be small and not use rare materials. Not fussed on having to tempt mobs in myself. I'd love to try making a small-scale mob room with a delivery system. I don't care about thousands of items an hour or any crazy numbers like that. It'd be nice to walk away and come back to a ton of loot. I built a copy of the trap that OP showed in his video, and it doesn't work. Chickens will not die. I don't know if this is because chickens got changed in an update or what, but the trap no longer processes chickens, and when chickens get stuck, everything else gets backed up and doesn't work. This trap has great potential, but its wise NEVER to rely on exploits as Notch will eventually go to correct them which will render traps like these to become useless.